Home » Aktualności » Don Giovanni on Targ Węglowy! On 21st July, Gdańsk locals and tourists alike will be able to see Wolfgang Amadeus Mozart’s opera Don Giovanni on Targ Węglowy. The Italian Teatro Lauro Rossi production received 30% of the public vote on the Trójmiasto.pl website. “What is special about this production is the minimalist elegance of the stage design, the beautiful simplicity of stylized costumes and a focus on the relationship between the protagonists,” says Jerzy Snakowski, who will provide live commentary to the opera screening organized by the City Culture Institute. A total of 812 votes were cast in the online vote. Don Giovanni was followed by Christoph Willibald Gluck’s Orfeo ed Euridice (22%), Richard Wagner’s Lohengrin (21%), Richard Strauss’ Der Rosenkavalier (20%) and George Frideric Handel’s Messiah (7%). 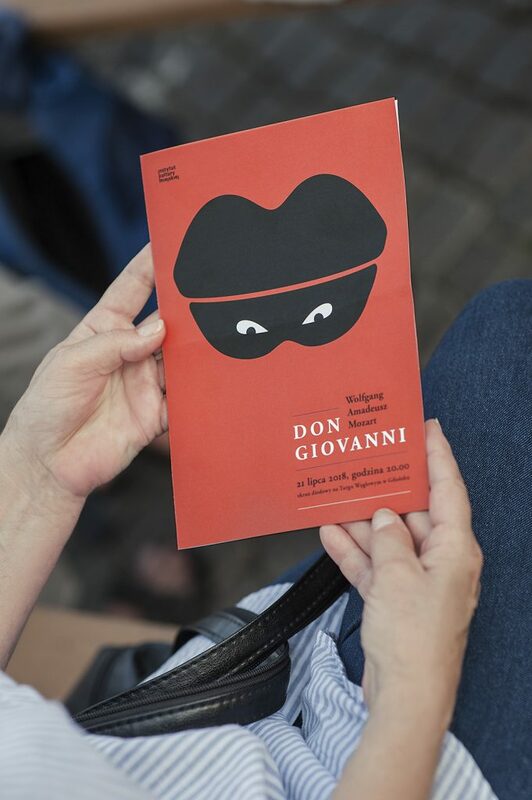 “Don Giovanni is basically a Don Juan – a libertine, lothario, anarchist and heartbreaker. However, Mozart shows him in a slightly different light. Instead of focusing on his subsequent conquests of the heart, he presents the protagonist in eternal flight from his victims. These soprano Furies love and hate him at the same time. They want to have their revenge, because they were either deserted or not fully satisfied. Above all, though, they chase him just to be closer to him. However, Don Giovanni does not intend to taste something he has already tried. He keeps looking for new experience, ultimately falling straight into the hands of death, who turns out to be… a man. In terms of the cast, all eyes are drawn to Ildebrando D’Arcangel, the title Don Giovanni: endowed with an amazing voice, great acting skills, energetic and handsome – the latter being rather important for this particular role,” says Jerzy Snakowski about the opera. 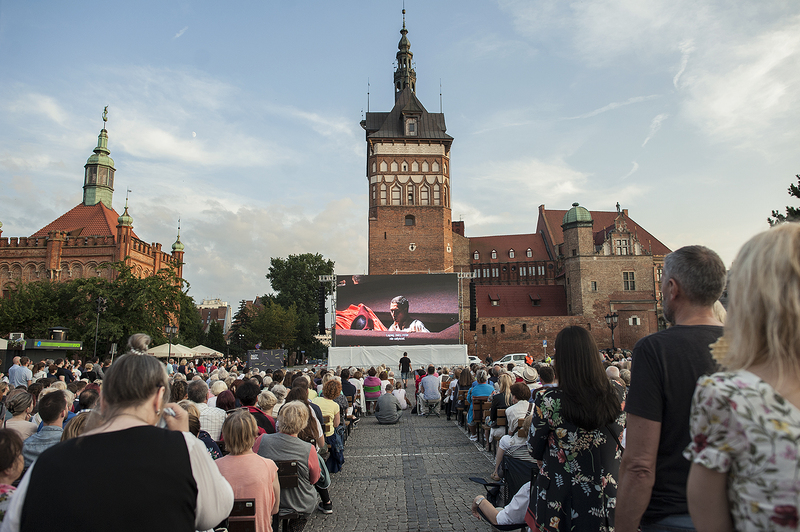 Open-air opera screenings on Targ Węglowy are greatly popular, not only among fans of classical music. 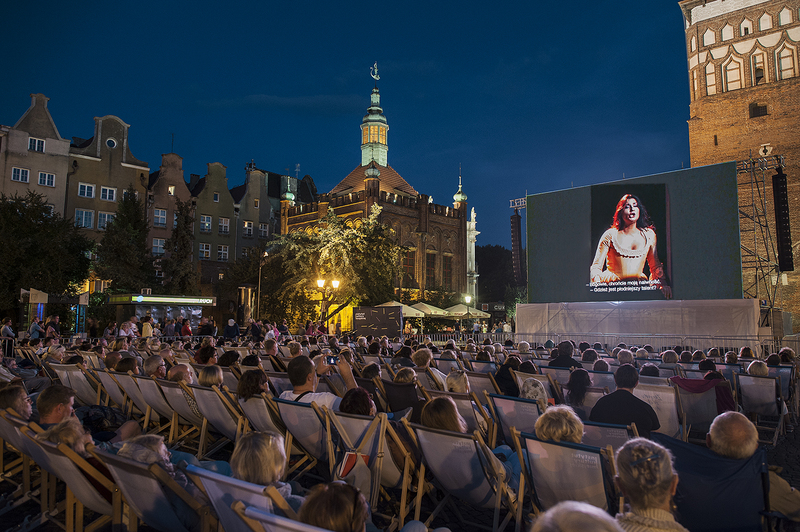 Once a year, on a warm summer evening, crowds of Gdańsk locals sit in front of a huge screen watching an opera performance and listening to live commentary provided by opera expert Jerzy Snakowski and an invited special guest. 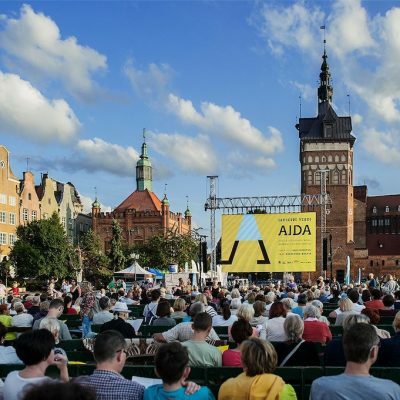 This is already the 9th open-air opera screening on Targ Węglowy organized by the City Culture Institute. 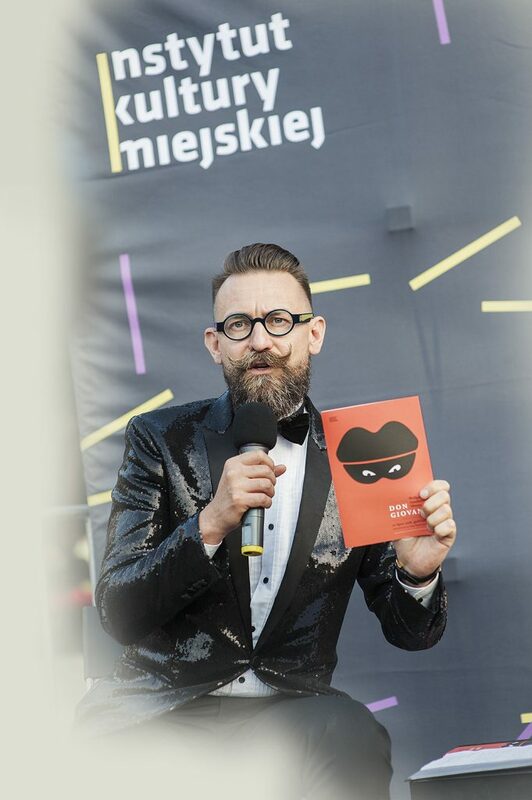 We partnered with the Baltic Opera in Gdańsk, which will invite children and young adults to a special theatre workshop associated with the operas presented in this year’s edition, and enable them to go behind the scenes. The event is accompanied by a guided, behind-the-scenes tour of the opera building, during which the participants will be able to see all nooks and crannies of the theatre that are normally inaccessible to visitors. Don Giovanni, Wolfgang Amadeus Mozart, 2011 production.